Caroline Fraser is the editor of the Library of America edition of Laura Ingalls Wilder’s Little House books and the author of three works of nonfiction. 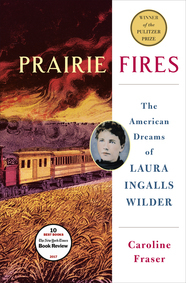 Her latest book is Prairie Fires: The American Dreams of Laura Ingalls Wilder. One of the New York Times’ Ten Best Books of the Year, Prairie Fires won the 2018 Pulitzer Prize for Biography and the National Book Critics Circle Award for Biography. It was also the winner of BIO International’s 2018 Plutarch Award and the finalist for the Mark Lynton History Prize, given by the Columbia Journalism School. Fraser has given talks on Wilder and other topics to groups large and small, at schools, public libraries, conferences, and universities. Her writing has appeared in The New York Review of Books, The New Yorker, The Atlantic, the Los Angeles Times Book Review, and the London Review of Books, among other publications. 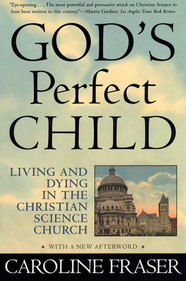 Caroline Fraser is also the author of God’s Perfect Child: Living and Dying in the Christian Science Church (Metropolitan, 1999), and Rewilding the World: Dispatches from the Conservation Revolution (Metropolitan, 2009). She holds a Ph.D. in English and American literature from Harvard University and lives in Santa Fe, New Mexico. Follow Caroline Fraser on Twitter. If environmental destruction continues at its current rate, a third of all plants and animals could disappear by 2050-along with earth's life-support ecosystems, which provide food, water, medicine, and natural defenses against climate change. 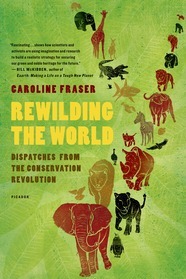 Now Caroline Fraser offers the first definitive account of a visionary crusade to confront this crisis: rewilding. From a former Christian Scientist, the first unvarnished account of one of America's most controversial and little-understood religious movements. Laura Ingalls Wilder: The Making of an American Icon Based on her Pultizer Prize-winning biography, Fraser demonstrates how Wilder became an icon of the frontier experience and explores the harsh realities of Wilder’s life and the myths she wove about them. The Strange Case of the Bloody Benders: Laura Ingalls Wilder, Rose Wilder Lane & Yellow Journalism Accompanied by a PowerPoint presentation, Fraser examines Lane’s early career in yellow journalism and how the Little House books evolved from exposure to fictionalized celebrity biographies. ’I Can’t Forget the Minnesota Massacre’: The US-Dakota War of 1862 & the Homestead Act in the Life and Work of Laura Ingalls Wilder In her other PowerPoint presentation, Fraser takes a closer look at the 1862 War, as discussed at the beginning of Prairie Fires, and the role it played in Wilder’s life and in Little House on the Prairie. Issues Facing Today's Wildlife Fraser tackles subjects such as conservation, biodiversity, and 'rewilding' in these wide-ranging talks. "I have heard nothing but praise for the lecture—a sentiment with which I fully concur. It was really a model of what they all should be, both in content and delivery. The whole Great Lives team joins in sending our sincere appreciation for a most successful visit. We thoroughly enjoyed it!"